Getting through college is hard enough – you must work, study, attend class, and try to fit in a social life all at the same time. You shouldn’t have to worry about your vehicle too. That’s why we’ve made a list of the most reliable, and affordable, Ford vehicles so you can concentrate on more pressing matters and leave the debt and the public transportation in your rearview mirror. 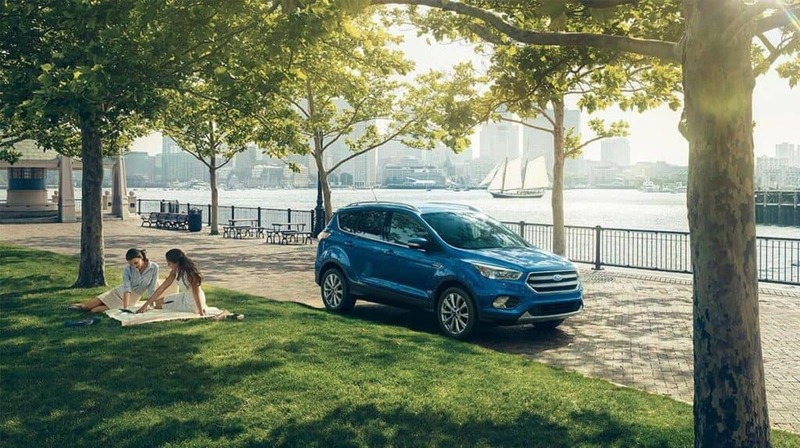 With a base price starting at $23,940, the critically-acclaimed Ford Escape is one of the most affordable crossover SUVs on the planet. You’ll get comfortable seating for five, upscale features like rearview camera and SYNC infotainment, and access to amenities like power seating, leather, and more. Plus, with the Escape, you’ll have enough interior volume to make moving into your new Rifle pad easy. The popular Ford Focus starts at just $17, 950 and is available as a sedan or a hatchback – making it easy to customize to your needs. Choose the basic model, and get up to 34 mpg highway fuel economy and standard MyKey features. Or upgrade and enjoy SYNC 3, Active Parking, and more. The petite Ford Fiesta delivers a lot of fun in a compact, budget-friendly package. Enjoy class-leading fuel efficiency of up to 35 mpg/highway, a standard rearview camera, access to FordPass technology and hands-free calling, and a variety of ways to personalize both the interior and exterior design of your vehicle – including 9 color variations so you can stand out on your next trip to Eagle. Best of all? With a starting price of just $14,205, it’s affordable enough to drive and allow you to pay for entertainment too. Ford offers a unique program to help college students afford that new vehicle they’ll need to get to class on time. With the Ford Drives U program, qualifying college students can get up to a $750 bonus cash allowance to spend on the purchase or lease of a new Fiesta, Focus, Fusion, EcoSport or Escape vehicle. Learn about all the offers and incentives available to help you save and get into the car you need when you schedule an appointment at Glenwood Springs Ford today.